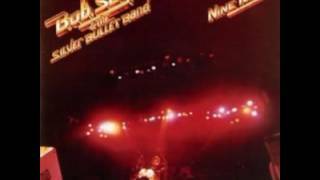 Bob Seger & The Silver Bullet Band: Bob Seger (vocals, guitar, piano); Drew Abbot (guitar); Alto Reed (flute, alto & tenor saxophones, organ); Craig Frost (piano, organ, Clavinet); Chris Campbell (bass, background vocals); David Teegarden (drums, background vocals). Additional personnel: Shaun Murphy, June Tilton, Pam Moore (background vocals, percussion); Kathy Lamb, Colleen Beaton (background vocals). Recorded live at Cobo Hall, Detroit in June 1980 and at the Boston Gardens, Boston, Massachusetts, October 1980. These songs were recorded during the AGAINST THE WIND tour. Personnel: Bob Seger (vocals); Drew Abbott (guitar, electric guitar); Alto Reed (alto saxophone, tenor saxophone); Craig Frost (piano, Clavinet, organ); David Teegarden (drums, background vocals); Shaun Murphy (percussion, background vocals); Chris Campbell (background vocals). Recording information: Boston Garden, Boston, MA (10/05/1980/10/06/1980); Cobo Hall, Detroit, MI (10/05/1980/10/06/1980); Boston Garden, Boston, MA (10/07/1980); Cobo Hall, Detroit, MI (10/07/1980); Boston Garden, Boston, MA (1980-06-15&1980-06-16&1980-); Cobo Hall, Detroit, MI (1980-06-15&1980-06-16&1980-). Photographers: Ron Pownall; Terry Luke; Larry Safko; Michael Marks. 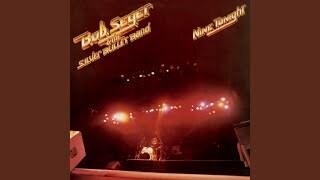 A live album, 1976's exceptional Live Bullet, had launched Bob Seger's career, and Seger returned to the format a second time five years later with 1981's Nine Tonight. The album is comprised of versions of songs from Seger's previous three best-sellers: 1976's Night Moves, 1978's Stranger in Town, and 1980's Against the Wind. While Seger and his Silver Bullet Band can stretch out in a concert setting, the live versions here stick pretty close to their original studio versions. The cut of "Old Time Rock & Roll" included here proves to be even better than the original, while such Seger standards as "Against the Wind," "Night Moves," and "Rock & Roll Never Forgets" also prove to be highlights.